Jill Model Barth, Ph.D. is a psychologist/IPA certified psychoanalyst in private practice in Beverly Hills, CA. Dr. Barth was on the faculty of the California Graduate Institute from1996-2008. Since 2008 she has been as Assistant Professor and Core Faculty of The Chicago School, Southern California. 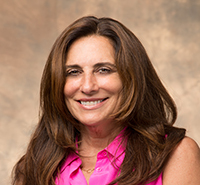 Dr. Barth is the Lead Faculty, Psychodynamic Psychotherapy track. She is a member and teaching faculty of the Los Angeles Institute and Society for Psychoanalytic Studies (LAISPS) and The New Center (NCP). Dr. Barth is also a member of the teaching and supervising faculty at the Wright Institute. She has served on the national and local boards of APA, including Division 39, Women, Gender and Psychoanalysis. She has presented locally, nationally and abroad on the topics of transference and countertransference and the analytic third.